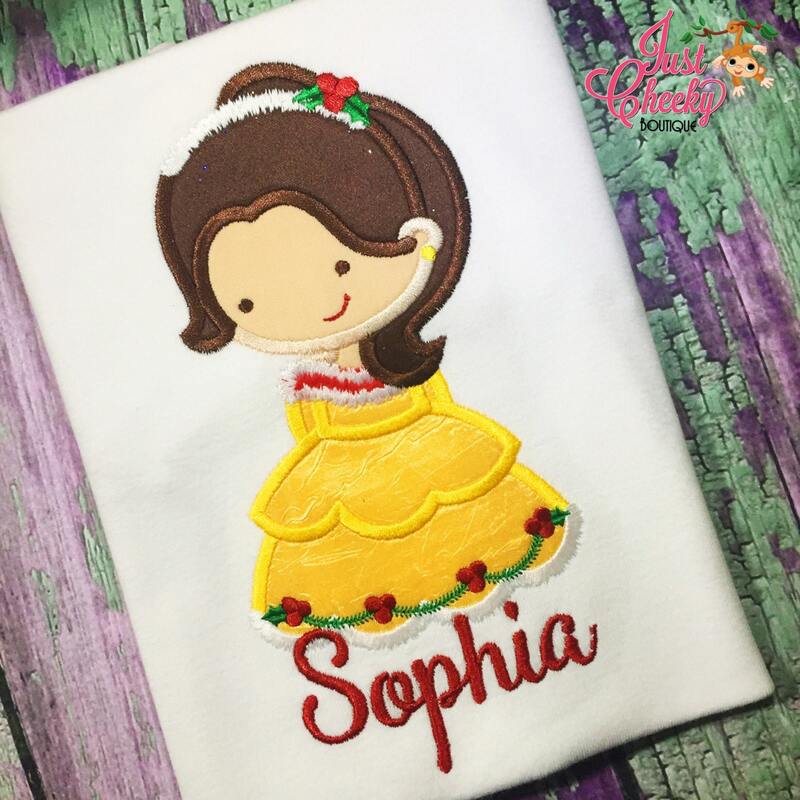 Belle Christmas embroidered Christmas Shirt. Personalization - up to 10 characters - included. Please leave name for personalization in the notes section during checkout. Please see the shop announcement for our current turnaround times, please allow an additional 3-4 days for shipping. We can allow a few rush orders, please message us prior to purchasing to discuss your rush order. We love custom orders!! Please message us to set up your reserve listing!! Just Cheeky Boutique uses Kavio! 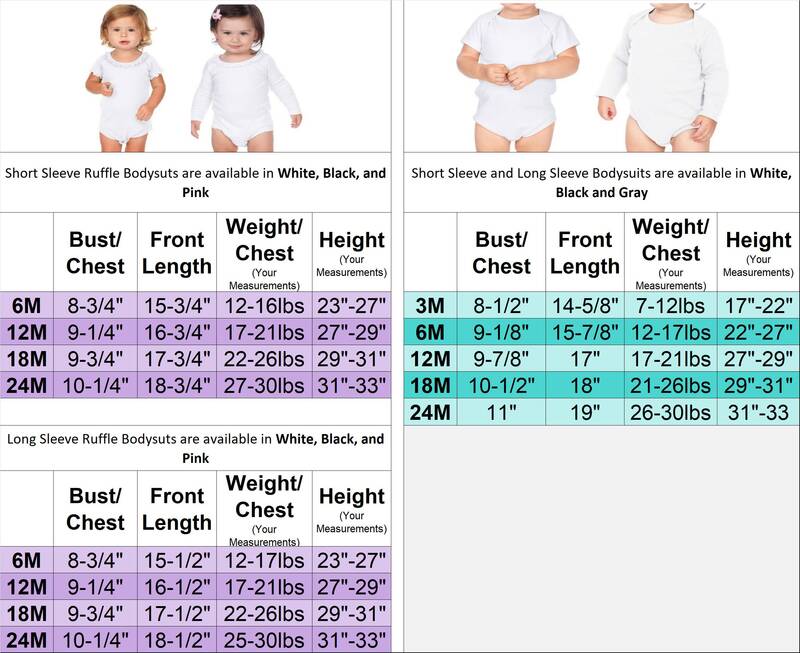 brand blanks for our Infant Gowns, Bodysuits, Shirts, and Dresses. 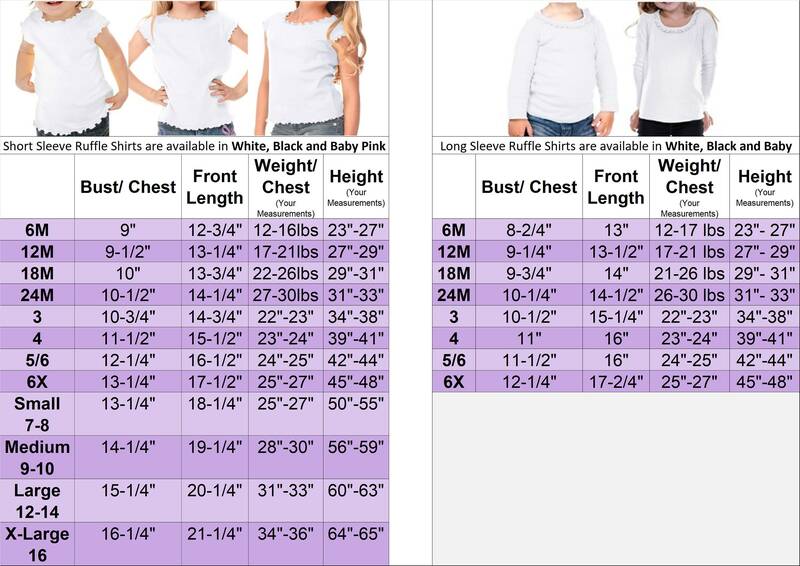 Please refer to the sizing charts in the listing photos for sizing details. **Shirt will be WHITE and SHORT SLEEVED. 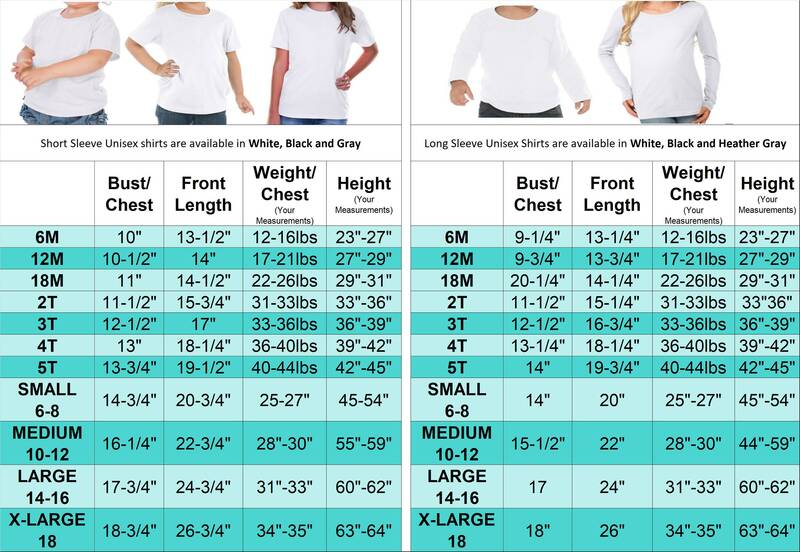 Although the shirt in a particular listing may be shown in color, the garment included in the listing price will be WHITE and SHORT-SLEEVED. 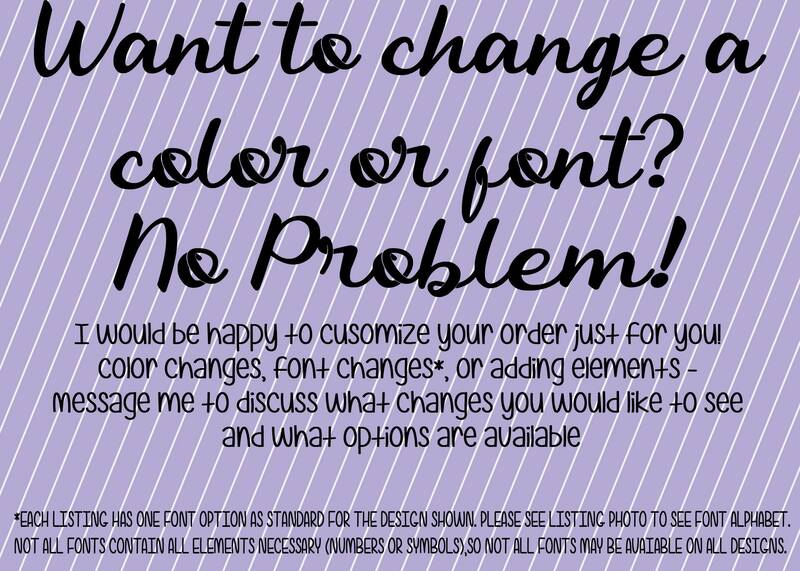 I am more than happy to create a custom listing for you if you would prefer to upgrade to a colored shirt or dress. Please message me for upgrade options(an upgrade fee may apply). Love it, turned out so cute!!! Will be ordering more princesses!